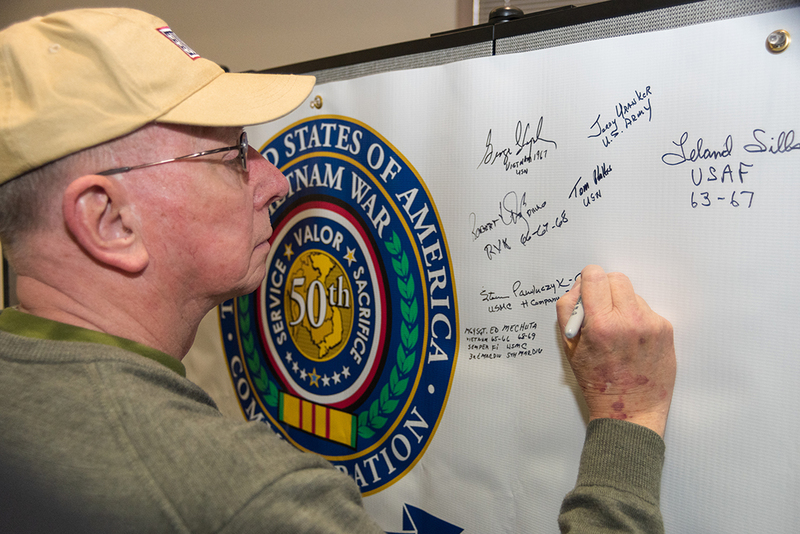 Vietnam War veteran Ben Cordero, U.S. Army 1967-69, signs a commemorative banner. 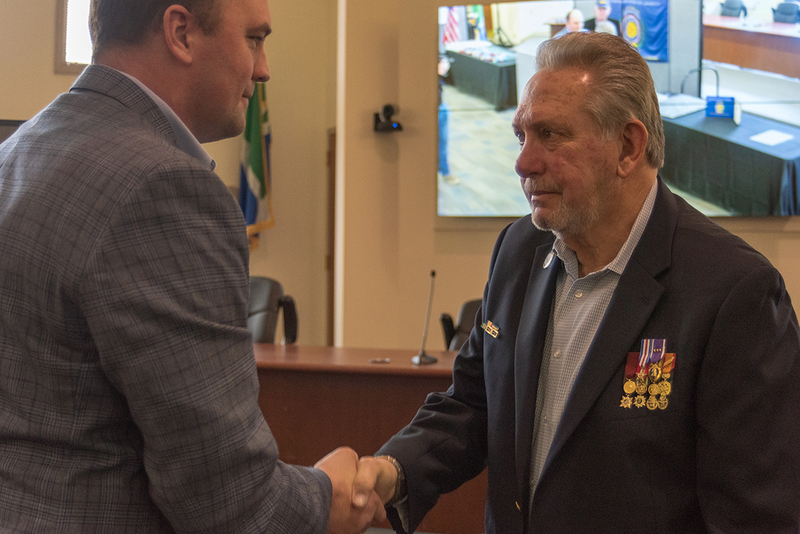 Mayor Scott Fadness shakes hands with guest speaker Hospital Corpsman Second Class George Stavropoulos, U.S. Navy, and presents him with a commemorative lapel pin. 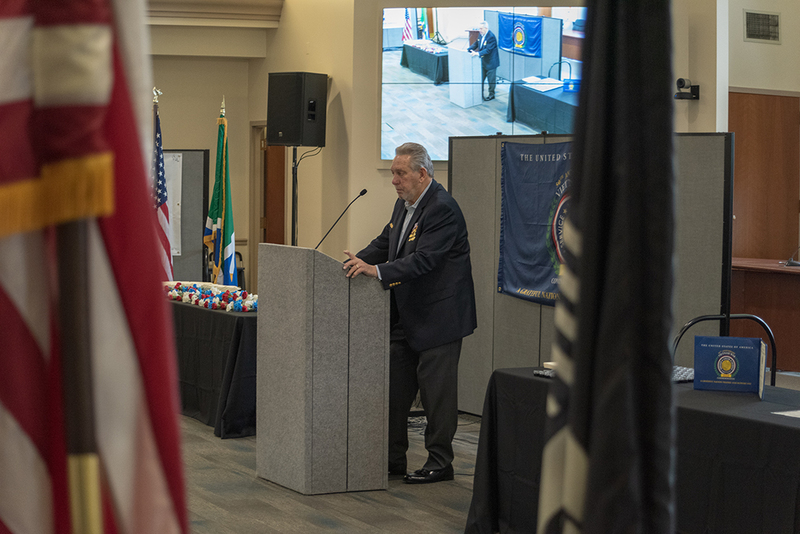 Guest speaker George Stavropoulos shared his own experiences as a U.S. Navy Hospital Corpsman 2nd Class during the Vietnam War.